Randy J. Farren, 62, of Havelock, NC, formerly of Bruin, PA, passed away Tuesday, January 29, 2019, following an illness, at Vidant Medical Center in Greenville, NC. Randy was born July 3, 1956 in Oil City, PA, the son of Donald L. and Phyllis Mae Snow Farren. He was a 1974 graduate of Karns City High School. On June 4, 1983 he married his lovely wife, Wanda Lea Lascoula of Butler. 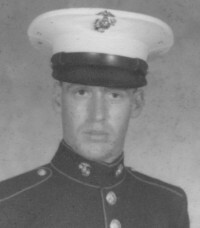 Randy honorably served more than 20 years in the United States Marine Corps, stationed at Cherry Point and Camp Lejeune. He also served aboard the U.S.S. Nassau during Desert Storm and was a recruiter in Altoona. Randy enjoyed hunting, gardening, and sitting by the fire. One of his favorite pastimes was playing pool in the APA Pool League. He is survived by his sons, Danny Farren of Havelock, NC and Ben Farren and wife, Hollie, of Havelock, NC; two grandchildren, Jasper and Brilea Farren of Havelock, NC; sister, Paula Gibson and husband, David, of Mars, PA; brothers, Donald E. Farren and wife, Ruth Ann, of Bruin, PA, and Kenneth L. Farren and wife, Colleen, of Petrolia, PA; and a number of nieces and nephews. In addition to his parents, Randy was preceded in death by his wife of more than 30 years, Wanda Farren. Family and friends will be received from 2-4 PM on Saturday, April 20, 2019 at the Bauer-Hillis Funeral Home and Cremation Services, Inc. 102 Argyle Street, Petrolia, PA, with a luncheon to follow at Petrolia Evangelical Presbyterian Church, 107 S. Argyle St., Petrolia, PA.